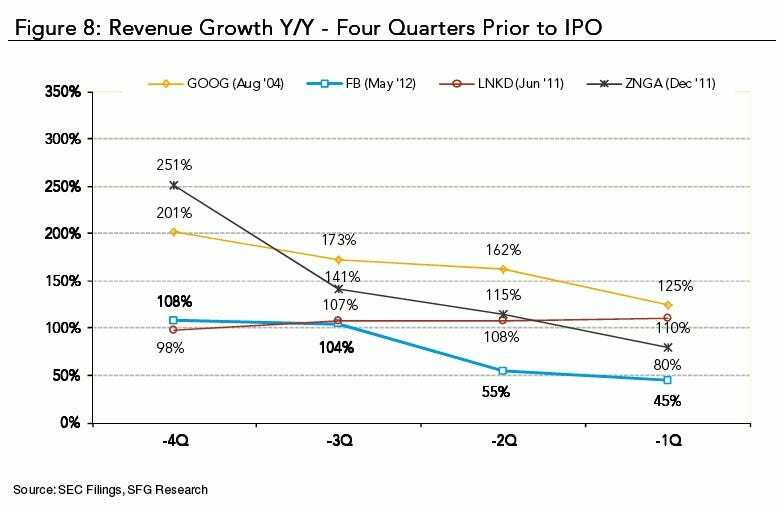 The reason Facebook tanked after its IPO is that revenue growth decelerated for the past several quarters. That’s not good for a story with Facebook’s revenue and profit multiples. It needs to be growing very fast. So it was very good news for Facebook today, when it reported earnings that showed the company has finally stabilized revenue growth – 32% last quarter and 32% this quarter. You can see this in the chart below. What this chart doesn’t show is the even better news that Facebook has actually re-accelerated its advertising revenues – up to 32% y/y this quarter from 28% y/y last quarter. Facebook Inc said it will start charging businesses to run Offers on its social network, turning a previously free service into a potential revenue generator at a time when Wall Street is demanding new sources of growth and profit from the company. 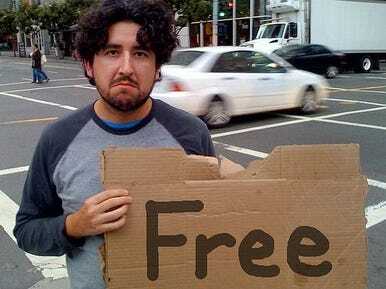 Users claim the offers from their News Feeds and redeem the vouchers at stores to get discounts. The service has been free, but in coming weeks Facebook will require merchants to pay at least $5 on related ads to promote each Facebook Offer to a targeted audience of fans and friends of fans. The cost will vary based on the size of a company’s Facebook pages. Since Facebook went public in May, the company has been under pressure from Wall Street to show how it can turn its giant social network into a money machine. 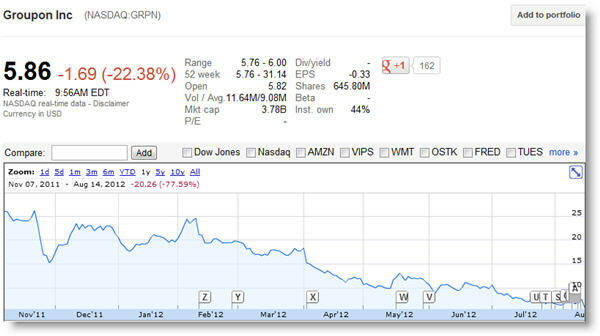 Facebook shares have lost about 40 percent of their value since the IPO. The commerce potential of Facebook, known as f-commerce, has yet to materialize, partly because retailers have been able to feast on a host of free tools on the social network to attract customers. Tying Facebook Offers to a paid ad service suggests the company is working to change this. In the past, some Facebook Offers have not been relevant to all users, partly because some people saw deals in their News Feeds from merchants located far away from where they live, Rajaram ad! ded. 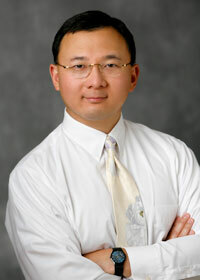 “The requirement to pay for related ads will focus merchants on who and where they want the offer to reach,” he said. Facebook is also expanding Offers to online-only businesses, he added. Before, the service was available only to merchants with physical locations. 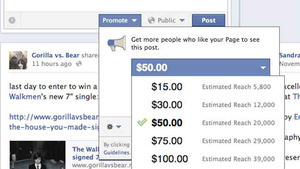 Facebook is also adding barcodes for offers, so customers can redeem offers more easily. The barcodes work globally, Rajaram noted. The executive declined to disclose how many Facebook Offers have been run so far, how many merchants have taken part, or how many deals have been claimed and redeemed by consumers. 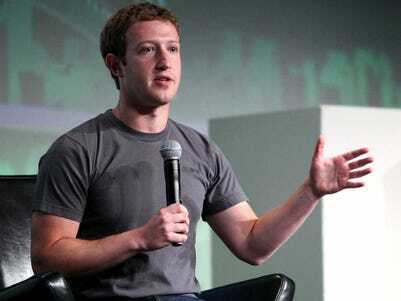 However, he said Facebook is “very happy” with the success of its Offers business. “That’s why we’re expanding and investing more in it,” Rajaram said. 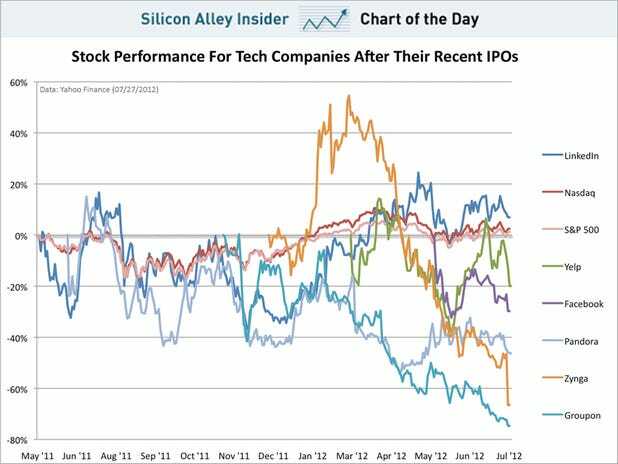 This chart shows the performance of all the big names in consumer tech that have IPO’d lately. As you can see, the only winner in the bunch for public market investors has been LinkedIn. 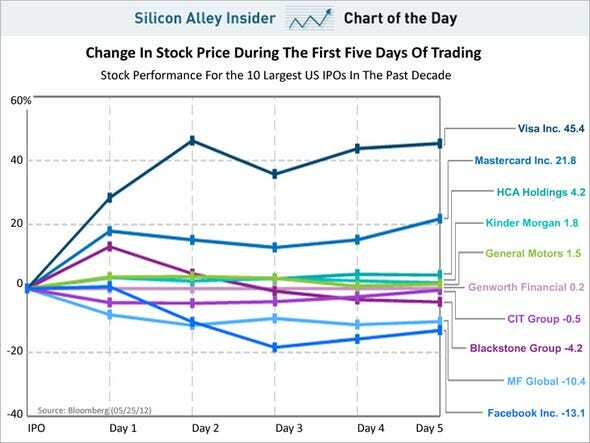 Facebook’s IPO has been the worst performing IPO of the decade after five days, according to this chart from Bloomberg. 57% of the Facebook stock being offered in the IPO is coming from insiders selling shares. 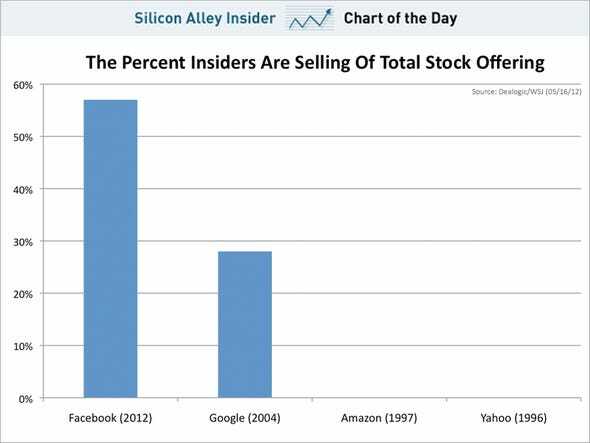 For some context on how unusual that is, the Wall Street Journal reports that only 37% of Google’s IPO offering came from insiders, and 0% for Amazon and Yahoo came from insiders. In Facebook’s case, it’s going public at a later stage in its development, so investors are itching to get out. And word is that Facebook asked insiders to sell during the IPO so they don’t crush the stock when the lock-up period ends. Reuters says the Facebook IPO is oversubscribed – that institutional buyers who have already bought in are calling around looking for some way to somehow get more stock. Meanwhile, Bloomberg says that just the opposite – that demand for the IPO is weak and that Facebook is going to have to rely on retail investors for its offering to pop. Here’s what’s probably going on: Buyers who want the price of Facebook shares to go down are telling reporters that supply is weak. Bankers selling the IPO, who want to the price to go up, are telling reporters that the thing is oversubscribed. You can kind of tell what’s happeneing because of the way both Bloomberg and Reuters carefully couched reporting. Here’s are two great charts from Herman Leung and Deepak Mathivanan and Susquehanna Financial Group comparing Facebook pre-IPO to Google and other popular consumer tech companies pre-IPO. While it looks good for Facebook at first glance, it’s actually not. 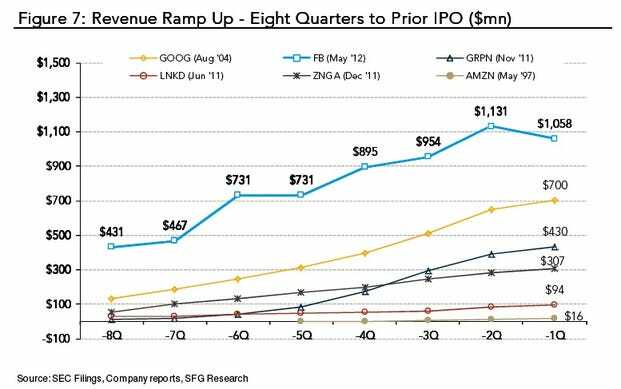 Below you can see Facebook’s revenue growth four quarters prior to IPO as compared to Google, LinkedIn, and Zynga. 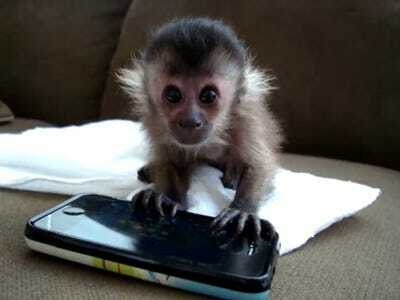 Google is the one to really focus on because lots of people are positioning Facebook as the next Google. At these growth rates, that’s just not true, at least not right now.